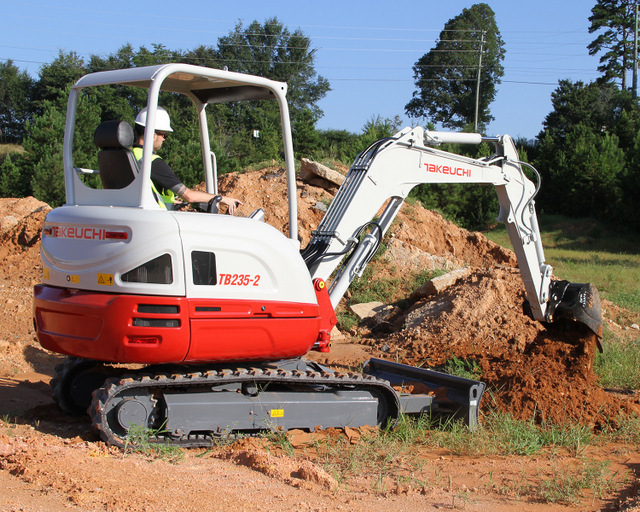 Takeuchi-US, a global innovation leader, recently announced the release of its newest compact excavator, the TB250-2. Weighing 10,957 pounds (canopy), the machine provides Takeuchi with a true 5-ton excavator offering that is well suited for a wide range of applications including landscape, general contracting, and rental. For more info on Takeuchi, click this link. Hard!